WRITE ON Q! A poem from Giving Back, as National Poetry Month continues! April is National Poetry Month and I’m taking the occasion to acknowledge and thank the poets—those in spirit and those in practice—who contributed important concepts and content to Giving Back. Q | Photography by Charles W. Thomas Jr. While wrapping up the book’s content during spring 2010, about a year and a half before the public release of Giving Back, I asked a couple of close friends who are ardent readers to review and provide feedback on my near-final manuscript. After trudging through a litany of Herculean tasks, which included years of carefully collecting and curating content and meticulously crafting stories, that bit of feedback was far from well received. Weaving in poetry was a valid suggestion—if fact, a brilliant one—but the protracted book-writing process had left me so thin-skinned that ML’s otherwise benign comment felt like a brutal assault on my long labor of love. “Apparently, what I’ve slaved to create is insufficient,” I sulked. Perplexed and seething in silence, I never asked ML to explain her rationale nor did I share my irritation. Though pouting is admittedly an unflattering trait, the emotional churning served to heat up my creative juices and resulted in potent new content. (Call it poetic injustice :-)) ML’s casual suggestion had fueled this overachiever’s resolve: If she thinks poems are needed, then poems she will have! I promptly reached out to one poet and reached within for the other. 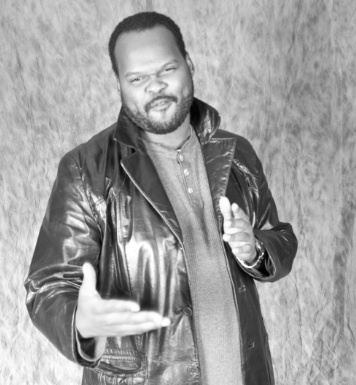 “Q”, a highly regarded poet and friend, had developed a spoken-word piece on philanthropy years prior for an event I organized. At my request, Q polished up the poem in writing, titled it and kindly submitted it for the book project. 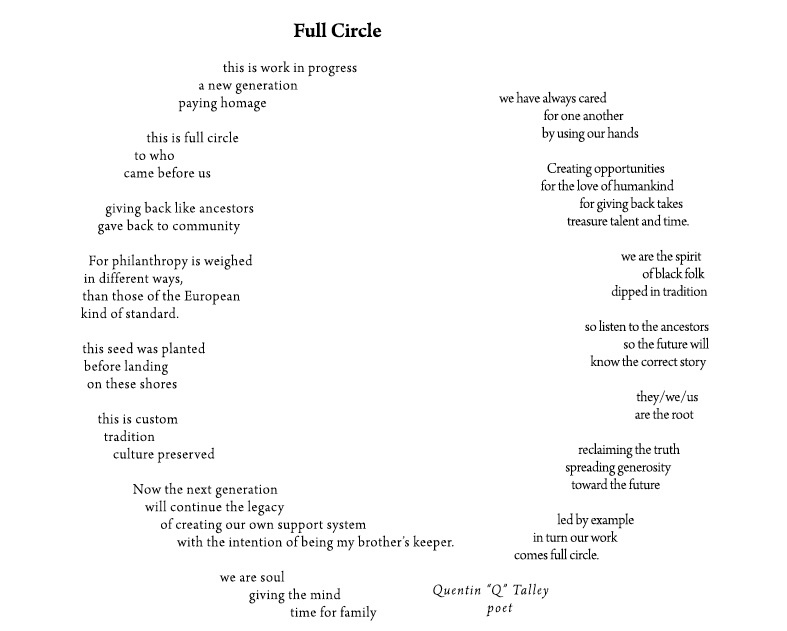 Entrancing as well as enlightening, “Full Circle” aptly closes Giving Back. Ava, the other poet, seemed to come out of nowhere with a couple of spot-on new poems for the book. Timid initially, Ava and her poetry evolved, both becoming surprisingly bolder with encouragement from my friends and guidance from Q. “Truth Be Told,” a poem expressly written by Ava for Giving Back, opens the book and has become a crowd-pleaser at book events. Even so, there was a time when I questioned whether her work was a good fit. Emphatic feedback from ML, Q and another friend, RG, made it clear that Ava’s poem merited not only inclusion but also prominent placement in Giving Back. I’ll wrap up by finally thanking ML for her discerning critique and by sharing another of Ava’s pieces. This one, haiku that’s featured in Giving Back.